We are your stop for eye care. We offer broad scope eye care services ranging from therapeutic eye disease management,glaucoma care, age related maculopathy assessments, dry eye management, spectacle prescription checks, advice on eye disorders, binocular eye coordination disorders, assessments of children with learning difficulties, contact lens fittings, monitoring of diabetic retinopathy . Our Optometrist has over 20 years experience in dealing with eye problems. 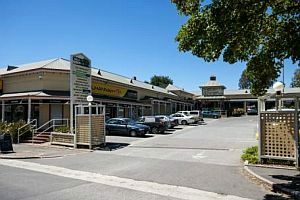 At Adelaide Hills Optometrists officially called Riverside Eye Care – Balhannah, you will be welcomed by friendly staff, find convenient car parking, and if you are after eyewear products see us to view our unique collections. Your local Adelaide Hills Optometry Clinic in Balhannah. Locally owned and operated family business, supporting the local community. We also service townships of Oakbank, Woodside, Lobethal, Littlehampton, Nairne, Mount Barker, Mount Torrens, Summertown and Gumeracha. Visit the local cafes, indulge in the kaleidoscope of colours that the heartbeat of Adelaide Hills bestows, and come in to see us !